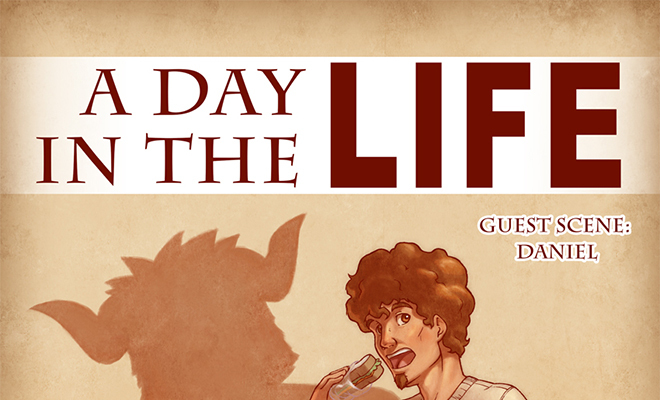 A Day in the Life is a comic series focused on the exploits of oversized animal characters. Daniel the bull signs up to test a new product from Bernie's line of merchandise. What's the product called? Alex. This comic is for readers 18 years of age and older.